Spring Farmstead Open House – April 27, 2019 10AM – 4PM. Surprised and very pleased with the restoration progress at the Farmstead. Enjoyed visiting/participating in the day of celebration in the life of this wonderful place. The demonstrators and guides, NJ Frontier Guard and period refreshments carried us back to a spring day in the 18th c.! 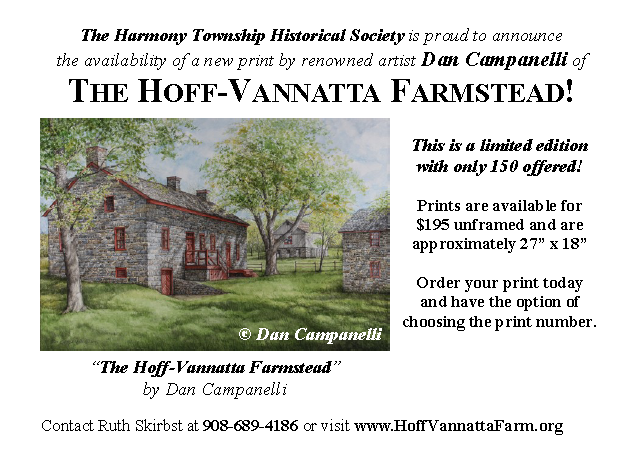 It is impossible to put into words the amount of dedication, time, and energy the members of the Harmony Historical Society and Harmony Township Historical Commission put into this wonderful vision in our humble township. To watch this transformation has been an exciting time of my life in Harmony. Keep up the good work! You truly know the meaning of Life In Harmony! I enjoyed my fall tour but did not see where Dan Campanelli had prints for sale. Could you please give me details by email. silvering@enter.net. We, and our guests from South Carolina, enjoyed the Autumn 2014 event very much. We look forward to future events! 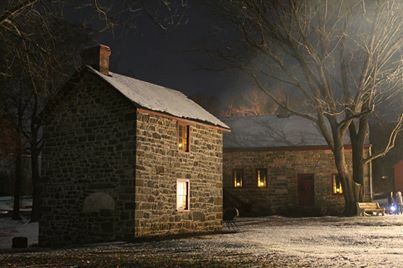 Is there a yearly sellibration at the homestead on a specific date. The next Open House is November 3, 2018 10A-4P. Free!